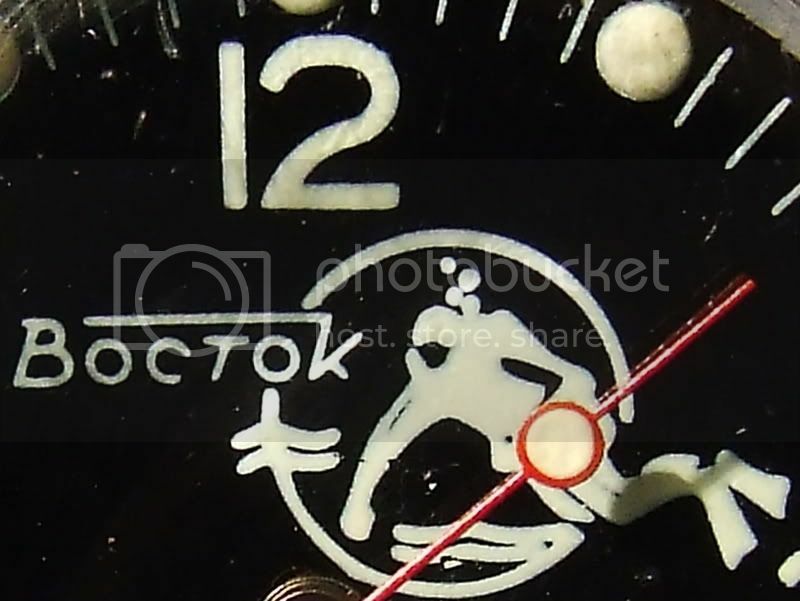 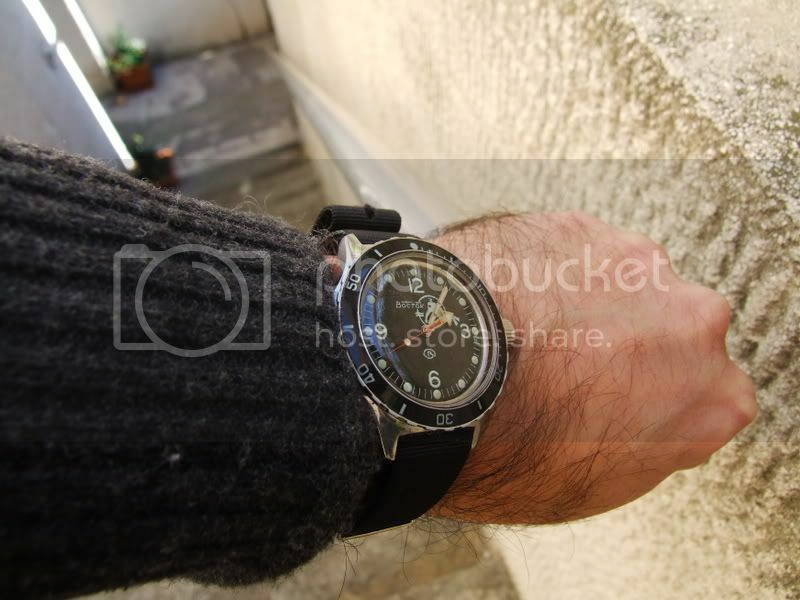 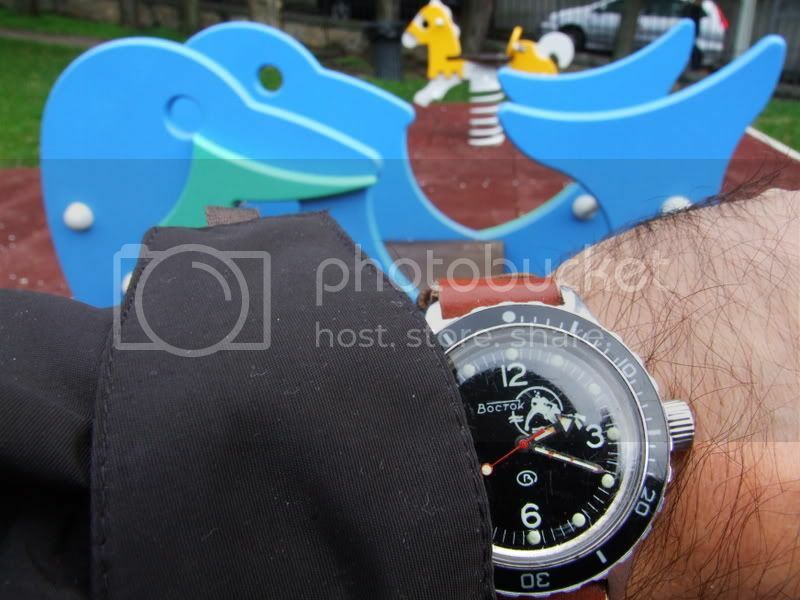 Vostok scuba with an unusual black bezel. 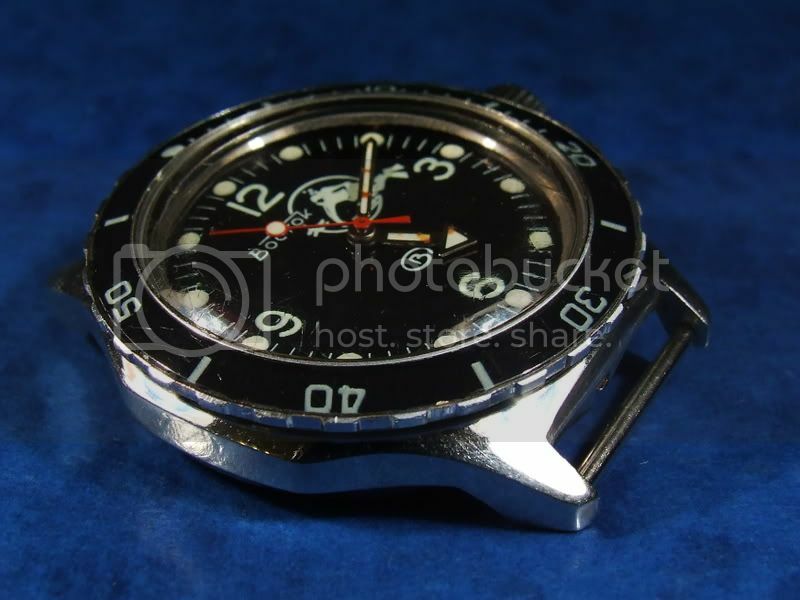 It has an octagonal amphibia case, all in stainless steel. 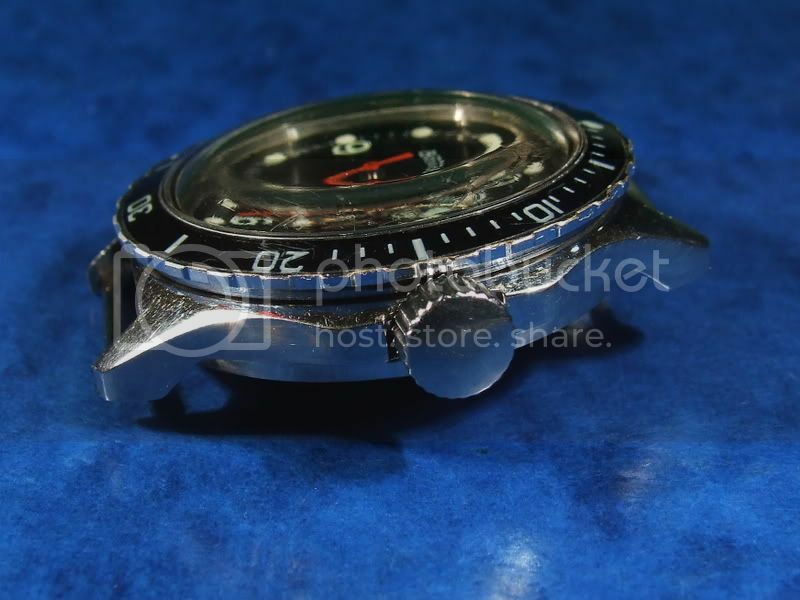 I did not open the watch but I guess there is a 2409 manual winding, 17 jewels movement fitted inside this amphibia case.